Bosch is showcasing a dual-lane version of the Two-in-One biscuit packing system at interpack 2017. The company introduced the single-lane system at interpack 2014 and claims that the system has been very popular worldwide. Bosch said that the new dual-lane version with high-performance can go even further in terms of flexibility and speed. It is claimed to be the first system to produce single, pile and slug packs on two independently operating lanes. Bosch integrated its new technology with a new design and harmonized processes to ensure higher level of performance of the machine. The distribution station, Sigpack DHRG, can form up to 400 rows of round, oval or square-shaped biscuits per minute, which can then be fed in a sorted or unsorted way. The solution claims to handle the product gently. 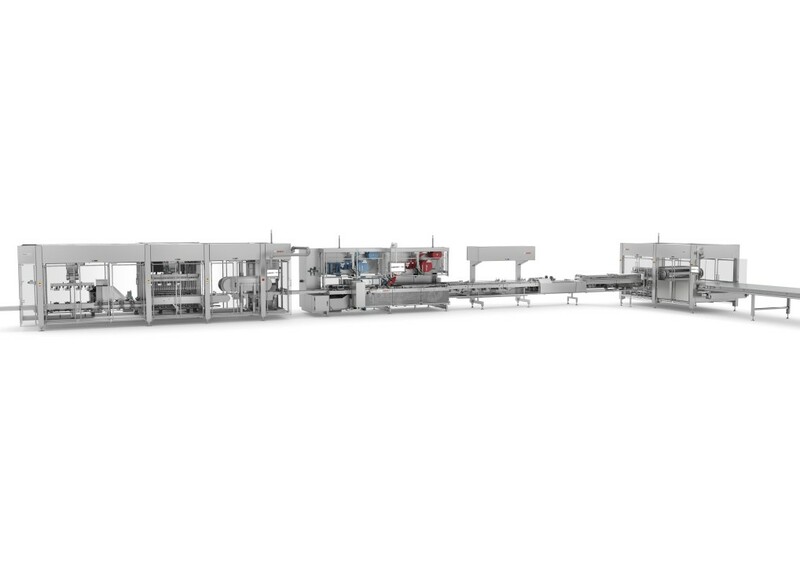 The two lanes transport the biscuits flat to the new flow wrapper Sigpack HMAD’s dual sealing station while ensuring extremely gentle handling. Sigpack HMAD features a high speed heat and cold sealing. The heat sealing process can go up to 90 meters per minute and the cold sealing can go up to 150 meters per minute. The allows for fast and flexible format changes. The two lanes can package up to 2400 biscuits per minute. Manufacturers can separately configure each lane to produce different packaging formats for varied batch sizes. Bosch is also introducing the new Sigpack PMI Infeed module. As the link between flow wrapper and cartoner, it merges the flow of products from two lanes into one. Each of the products can be controlled and positioned individually because of linear motor technology. This technology can be adapted for several processes without the use vacuum. Bosch said that this product will not be showcased at interpack. Another product from Bosch is the Sigpack TTM cartoner that allows for quick, reproducible and tool-free format changes. A vertical restart takes only a few minutes to complete. The machine has an output speed of up to 150 boxes per minute and the toploader guarantees high overall performance on a compact footprint. Bosch claims that the new system has been designed, keeping in mind, ease of use. The components have been integrated seamlessly into the HMI user interface and follows standardized processes. The two lanes can be cleaned and adjusted independently. This means that production does not necessarily be stopped at any time during the cleaning process. The German company also says that the system can work without any guide profiles and baffles meaning that biscuits are subject to less mechanical pressure compared to conventional machines, which can guarantee overall high quality. Image: Bosch to showcase biscuit manufacturing and packaging solutions at interpack, 2017. Photo: Courtesy of Robert Bosch GmbH.